Shelf Unbound book review magazine announces the Shelf Unbound Writing Competition for Best Indie/Self-Published Book. Any indie/self-published book in any genre in 2018 or 2019 is eligible for entry. Entry fee is $100 per book. The winning entry will be selected by the editors of Shelf Unbound magazine. 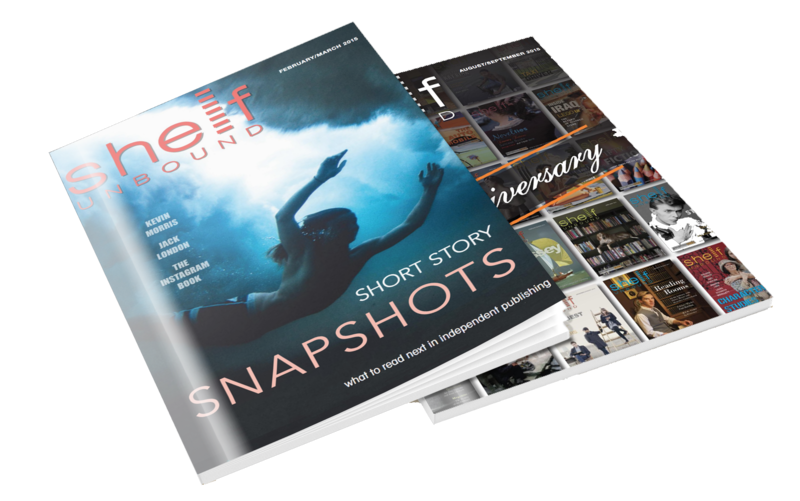 To submit an entry, mail a paper copy or email a PDF of your entire book, including the cover, to contest@shelfmediagroup.com, subject line Contest Entry, and send a check for $100 made out to Shelf Media Group to Sarah Kloth, Shelf Media Group, 2234 Patrick Lane, Waukesha, WI 53188. All entries received (and entry fee paid) will be considered. The top five books, as determined by the editors of Shelf Unbound, will receive editorial coverage in the December / January issue of Shelf Unbound. The author of the book named as the Best Self-Published book will receive editorial coverage as well as a year’s worth of full-page ads in Shelf Unbound. The deadline for entry is midnight on October 1, 2019. The winners will be notified by October 31, 2019. Have a digital copy? Submit your book online. "Shelf Unbound is one of the best places to advertise. They are honest and trustworthy and put out an excellent product. I have worked with them since I started in 2012 and I believe their reach has increased not only my retail sales, but you will find both my son’s and my books in libraries and bookstores everywhere. My son is author Michael Phillip Cash. They are a respected voice in this industry and I am proud to have any of my books associated with them." "I’ve advertised my paranormal romance, The Vampire Girl Next Door, in Shelf Unbound ever since my novel came out in 2012. I like the magazine’s book reviews, the photography, and its international distribution." "My ad in Shelf Unbound was the best advertising venue I have found to date. My book sales went up by 50%. "